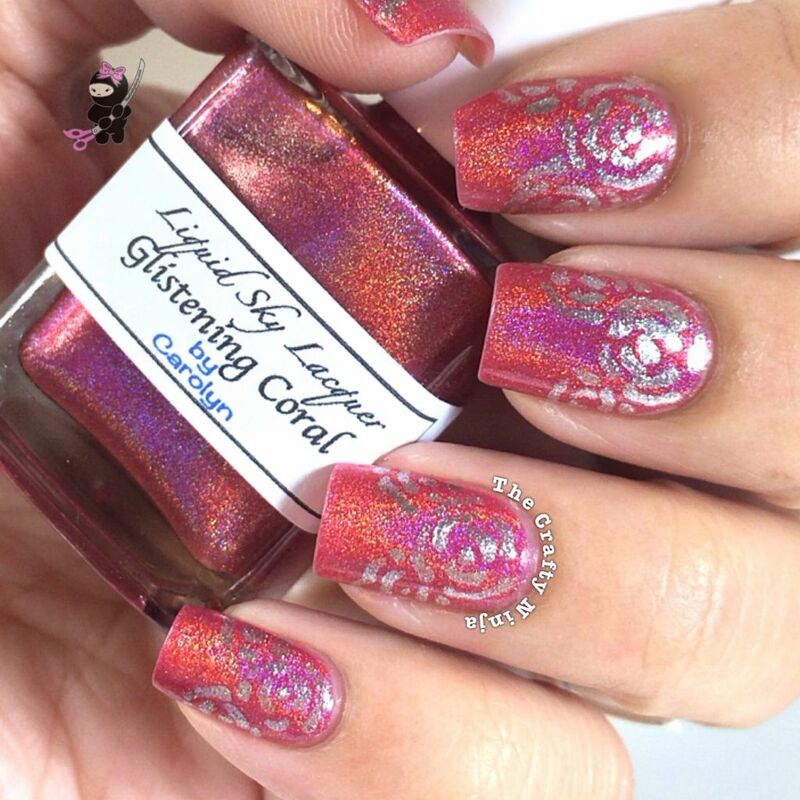 For the base color I used three thin coats of Liquid Sky Lacquer Glistening Coral, which is gorgeous coral holographic nail polish. 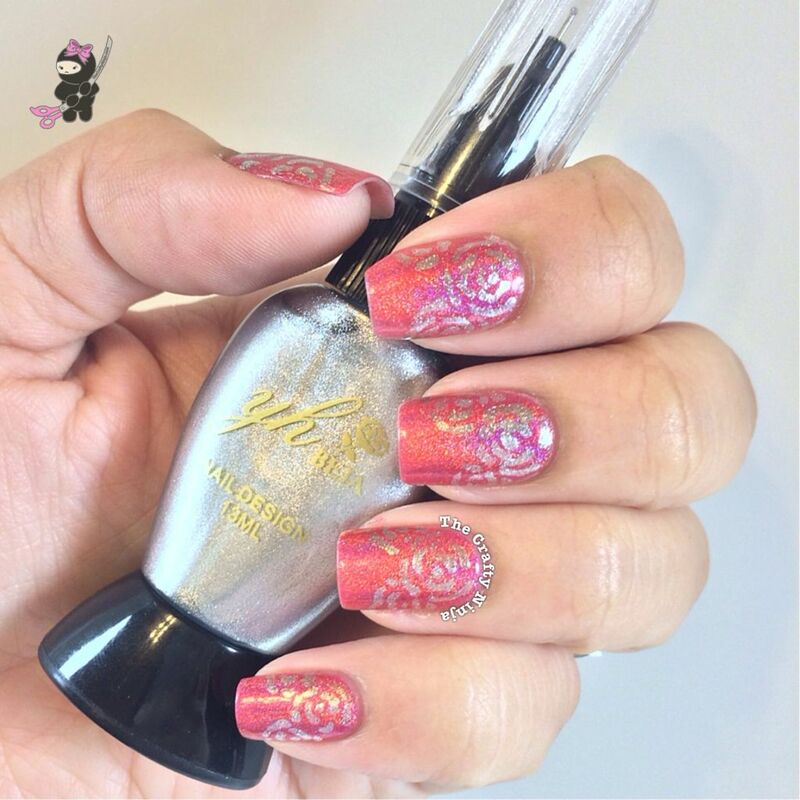 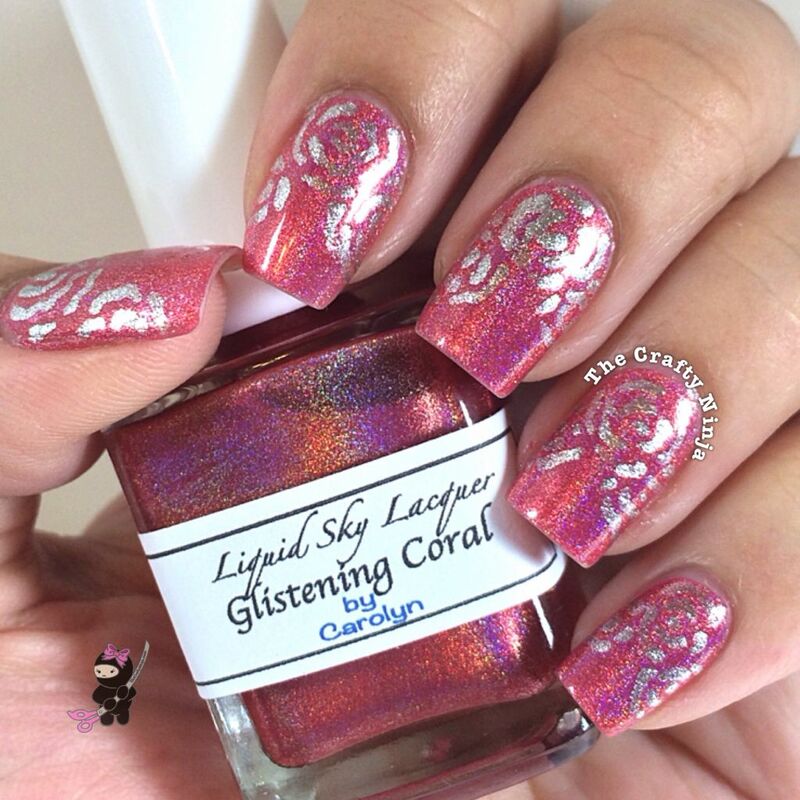 To create the abstract rose design I used a Nail Art Pen from Simply Spoiled Beauty Products. 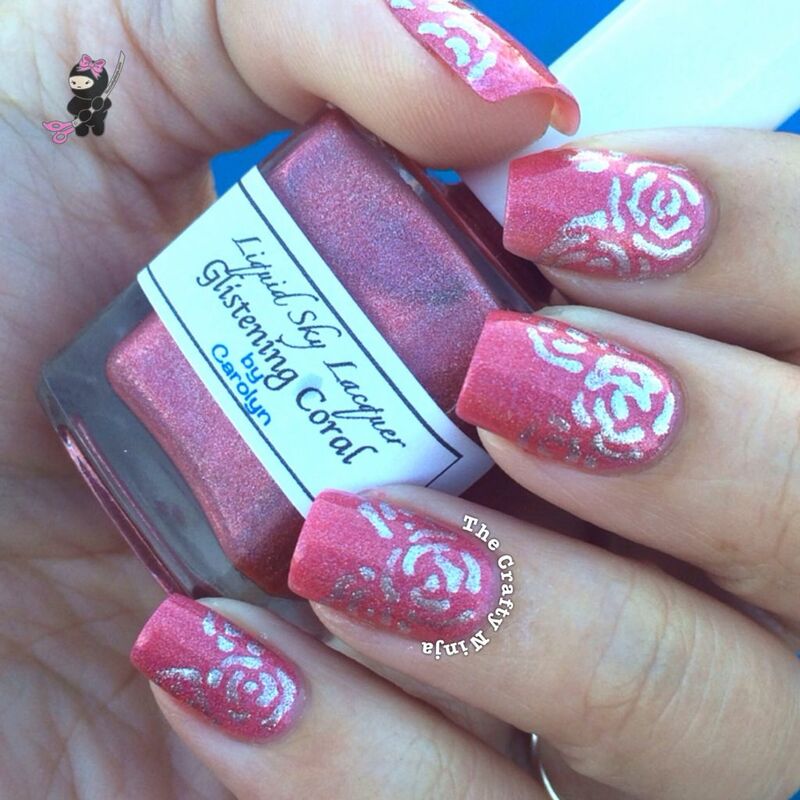 Check out Simply Spoiled and receive 30% off your entire order with coupon code crafty.